EofficeHub Offers secure and reliable Electronic Document Management solutions for paperless offices that directly support growth as well as Patient, Insurance, HIPAA and other legal compliance demands. 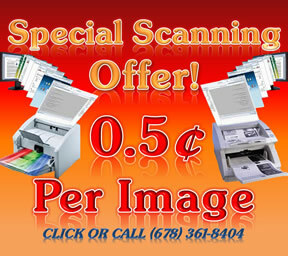 We can help you convert papers, documents, charts and files by scanning to images or electronic document. We also Provide image database management. We are based Atlanta. We specialize in Medical charts scanning, Healthcare, Law Offices files and paper scanning, and General Business office files scanning, paperless files, office document imaging, digital imaging, scanning solutions and document management needs that is compatible with all existing Electronic Medical Records software and electonic file management software. We offer cheap affordable scanning, electronic document and database management. An efficient Electronic Document Management system will increase productivity and reduce cost. Call Eofficehub today (678)-361-8404 we have over 15 years of paperless office experience. Let us help you design and implement a paper record conversion to electronic chart or file strategy that will keep your patient charts or client information at your fingertips. We are based in the United States and mainly service the eastern cities; Atlanta, Nashville, Jacksonville and the east coast. Electronic health record systems in less than two years after adoption can create enough cost reductions to pay for the cost of the systems, according to a study published in the July issue of the Journal of the American College of Surgeons, HIPAA, HITECH & HIT reports.